Former Indianapolis Colts head coach Chuck Pagano has returned to the NFL as the Defensive Coordinator for the Chicago Bears. In an interview earlier in the season Pagano claimed his main reason he wanted to return to the NFL was to seek revenge against the Patriots. “Of course, of course, it’s a deep hatred,” Pagano said. “Respect them, respect [Bill] Belichick, what he’s doing. I respect Tom Brady, what a run they’ve had to be able to have the sustained success that they’ve had over the long course of time is truly amazing in today’s NFL. I think you guys know that and understand that, so I do respect that. There is a deep hatred there. . . . My No. 1 reason for trying to get back? Maybe I get another shot at them.” Pagano told the Indy Star back in October as he was settling into his consulting job with the NFL. Pagano will always be remembered by Patriots fans for being part of the NFL and Indianapolis Colts coalition that decided that conspiring against Tom Brady may be a better way to slow the Patriots down than beating them. It obviously didn’t work as planned. As one of the architects of the Deflategate scandal, Pagono spent the next few miserable seasons with the Colts following the 45-7 whitewashing the Patriots gave them in the 2015 AFC Championship. I call total BS, Pagono has about as much respect for the Patriots as Pats fans have respect for his play calling. Pagano has never had success against us and if the Patriots are to see Pagano next year, it will be in February at next years Super Bowl in Miami. It is more probable than not that we will be there. Hopefully Pagano draws up defensive plays as bad as he did for special teams because this foolish play will forever be internet gold. 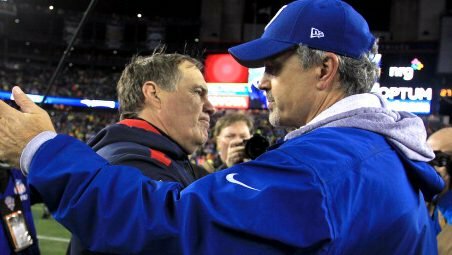 Chuck Pagano isn’t with the #Colts anymore, but he still understands the dynamic with the Patriots.